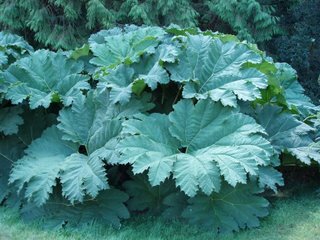 Gunnera. In Cornwall on a dull morning. There are several children, a little old lady and some large dogs playing in here but you can't tell. I can see the children (or one or two of them) and can hear the large dogs, of course... But the little old lady? Are you sure you're not making her up?